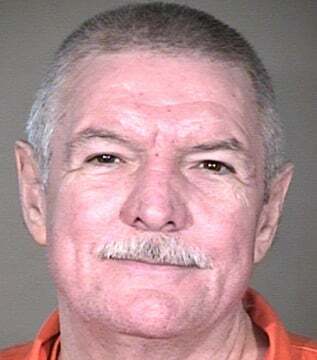 Richard Dale Stokley was executed by the state of Arizona on December 5, 2012. Richard was pronounced dead at 11:12 am MST inside the execution chamber at the Arizona State Prison Complex - Florence - Central Unit in Florence, Arizona. Richard was 60 years of age. He was executed for the murders of 13-year-old Mandy Meyers and 13-year-old Mary Snyder after kidnapping them from a Fourth of July weekend fair in Elfrida, Arizona, on July 8, 1991. The girls were also raped. Richard’s accomplice was then-20-years-old Randy Brazeal, who pled guilty and was released in 2011. Randy fingered Richard as the killer. Richard had a difficult childhood that included abuse by family members. Richard never knew his father. Richard abused alcohol, with numbers arrests for driving under the influence. Richard physically abused his two wives, and threatened to kill them. Richard was working as a stuntman for the Independence Day celebrations when he kidnapped, raped and murdered Mandy and Mary. Please pray for peace and healing for the families of Mandy Meyers and Mary Snyder. Please pray for the family of Richard.